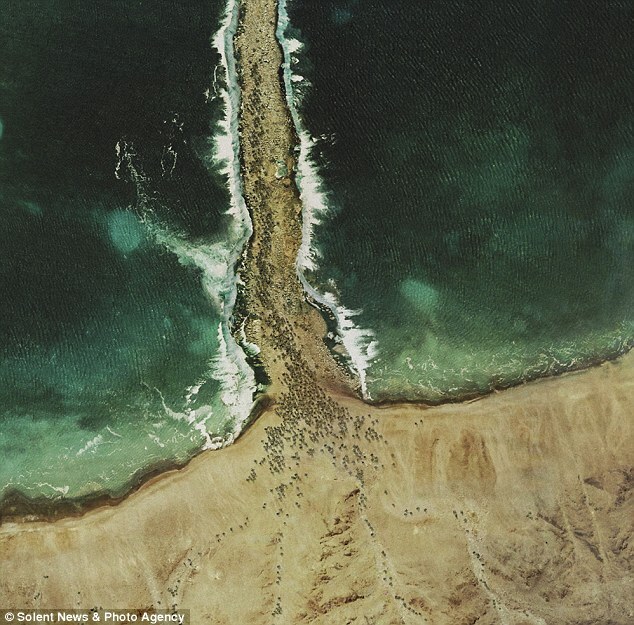 Wonders of the Sea is similar split happened in the story of the prophet Moses. 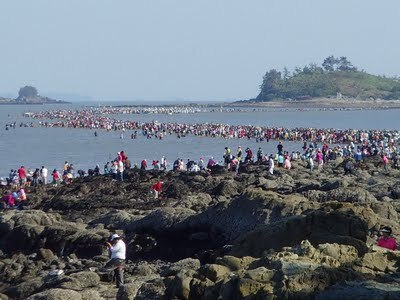 The difference is, the sea 'split' in the country's ginseng is a natural phenomenon that occurs due to tides. As quoted from page asiarooms, a stretch of land with about 2.8 kilometers long and 40 meters wide will open due to reflux of sea water at certain times. Moments of these events are usually visited by people in large numbers. A special festival dedicated to commemorate the events of nature which is a unique phenomenon in South Korea. The occurrence of sea split, based on a popular fairy tale in Jindo, began when the tiger attacked the village, all villagers had gone to the village of Modo except an old woman who lived alone. In desperation, he prayed to God for help and found the Sea god answered his prayer by splitting the sea. However, the phenomenon is known world when Pierre Randi, a French Ambassador to Korea to visit that country in 1975 and wrote about it in a French newspaper. 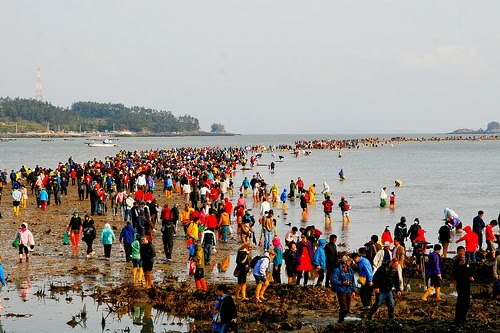 The festival named Jindo Sea Feast Festival that usually takes place three times a year ie in March, May and July. 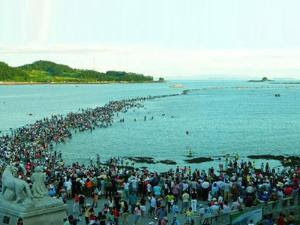 However, with the increasing flow of tourists enthusiastically decided the festival was also held in April.